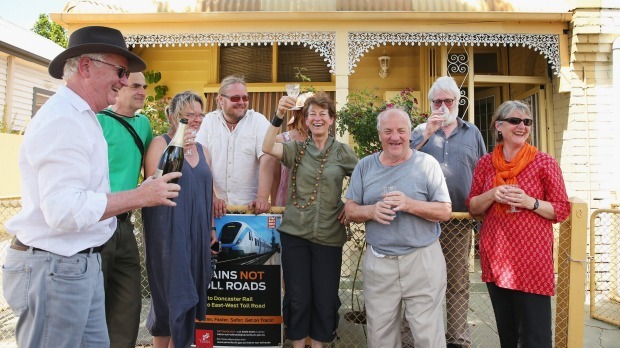 Featuring Residents Against the Tunnel – RAT, Harriet Mantell, Keith Fitzgerald, Mary Fenelon, Jackie Fristacky, Amanda Stone, Andrew Kelly, Daniel Andrews and #Rally4PT coverage from 15 November 2014. 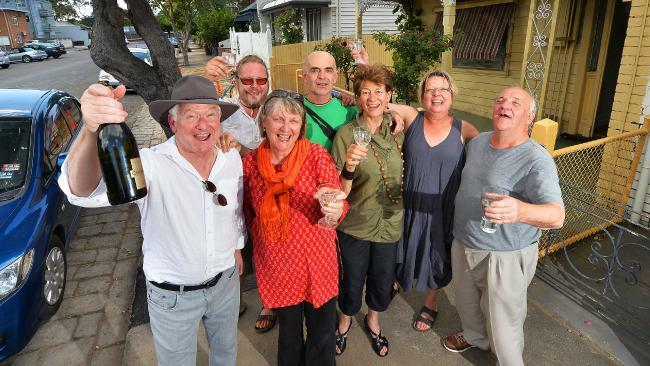 Champagne may have been flowing at Bendigo Street in Collingwood on Sunday, but residents remained sceptical about Daniel Andrews’ promise to scrap the East West Link. Residents in the path of the $6.8 billion East West Link are split as to whether Labor’s victory will save their homes from the bulldozers.